Lj. Arambašić, R. Rajić, Roberts orthogonality for 2x2 complex matrices, Acta Mathematica Hungarica 157 (2019) (1), 220-228. Lj. Arambašić, T. Berić, R. Rajić, Roberts orthogonality and Davis-Wielandt shell, Linear algebra and its Applications, 539 (2018), 1-13. Lj. Arambašić, D. Bakić, Dual frames compansating for erasures, Glasnik Matematički, 52 (2017)(1), 131-146. Lj. Arambašić, R. Rajić, On symmetry of the (strong) Birkhoff--James orthogonality in Hilbert C*-modules, Annals of Functional Analysis 7 (2016), no. 1., 17--23. Lj. Arambašić, R. Rajić, Operators preserving the strong Birkhoff-James orthogonality on B(H), Linear Algebra and its Applications, 471 (2015), 394--404. Lj. Arambašić, R. Rajić, On three concepts of orthogonality in Hilbert C*-modules, Linear and Multilinear Algebra 63 (2015), no. 7, 1485-1500. Lj. Arambašić, R. Rajić, Operator version of the best approximation problem in Hilbert C*-modules, Journal of Mathematical Analysis and Applications, 413 (2014), 1; 311-320. Lj. Arambašić, R. Rajić, A strong version of the BirkhoAff--James orthogonality in Hilbert C*-modules, Annals of Functional Analysis 5 (2014), no. 1, 109-120. Lj. Arambašić, R. Rajić, The Birkhoff--James orthogonality in Hilbert C*-modules, Linear Algebra and its Applications 437 (2012) 7; 1913-1929. Lj. Arambašić, D. Bakić, M.S. Moslehian, A treatment of the Cauchy-Schwarz inequality in C*-modules, Journal of Mathematical Analysis and Applications 381 (2011) 2; 546-556. Lj. Arambašić, D. Bakić, R. Rajić, Finite-dimensional Hilbert C*-modules, Banach Journal of Mathematical Analysis, 4 (2010), no. 2, 147-157. Lj. Arambašić, D. Bakić, R. Rajić, Dimension functions, scaling sequences, and wavelet sets, Studia Math. 198 (2010), 1-32. Lj. Arambašić, R. Rajić, Ostrowski’ s inequality in pre-Hilbert C*-modules, Mathematical Inequalities and Applications 12 (2009), 1; 217-226. Lj. Arambašić, Another characterization of Hilbert C*-modules over compact operators, Journal of Mathematical Analysis and Applications 344 (2008), 2; 735-740. Lj. Arambašić, R. Rajić, On the C*-valued triangle equality and inequality in Hilbert C*-modules, Acta Mathematica Hungarica 119 (2008), 4; 373-380. Lj. Arambašić, D. Bakić, R. Rajić, Dimension functions of orthonormal wavelets, Journal of Fourier Analysis and Applications 13 (2007), 3; 331-356. Lj. Arambašić, On frames for countably generated Hilbert C*-modules, Proceedings of the American Mathematical Society 135 (2007), 2; 469-478. Lj. Arambašić, R. Rajić, On some norm equalities in pre-Hilbert C*-module, Linear Algebra and its Applications 414 (2006), 1; 19-28. Lj. Arambašić, Frames of submodules for countably generated Hilbert K(H)-modules, Glasnik Matematički 41 (2006), 2; 317-328. Lj. Arambašić, Irreducible representations of Hilbert C*-modules, Mathematical Proceedings of the Royal Irish Academy 105A (2005), 2; 11-24. Lj. Arambašić, M. Horvat, Malo kompleksne analize i osnovni teorem algebre (Some complex analysis and the fundamental theorem of algebra), Acta mathematica Spalatensia. Series didactica, 2019. Lj. Arambašić, M. Kolarek, Napeti bazni okviri (Tight frames), Poučak, 2019. Lj. Arambašić, M. Matika, A. Valent, Neke generalizacije Rolleovog teorema i Lagrangeovog teorema srednje vrijednosti (Some generalizations of Rolle's theorem and Lagrange's mean value theorem),Poučak: časopis za metodiku i nastavu matematike, 16 (61) (2015), 14--21. Lj. Arambašić, R. Rajić, Duljina puta od n segmenata (The length of a path consisting of n line segments), Poučak: časopis za metodiku i nastavu matematike 14 (56) (2013), 34--39. Lj. Arambašić, A. Valent, Neke primjene Rolleovog teorema i Lagrangeovog teorema srednje vrijednosti (Some applications of Rolle's theorem and Lagrange's mean value theorem), Poučak: časopis za metodiku i nastavu matematike, 14 (55) (2013), 47--56. Lj. Arambašić, A. Kralj, Razni dokazi Cauchy-Schwarz-Bunjakovskijeve nejednakosti (Various proofs of Cauchy-Schwarz-Bunjakovski inequality), Poučak: časopis za metodiku i nastavu matematike, 51 (2012), 32--38. Lj. Arambašić, I. Zavišić, p-norme na R^2, kružnice S_p i brojevi \pi_p (p-norms on R^2, S_p circles and \pi_p numbers), Osječki matematički list, 10, (2010) 131--138. Lj. Arambašić, V. Seuček, O neprekidnim funkcijama (On continuous functions), Poučak: časopis za metodiku i nastavu matematike, 41, (2010) 50--60. Enhancing Connections in mathematics education, Zagreb, 24.1.-25.1.2019. Barcelona Weekend on Operator Algebras, Barcelona, Spain, 16.11.-17.11.2018. Linear Algebra Workshop 8, Ljubljana, Slovenia, 12.6.2017.-16.6.2017. Advanced school and Workshop on Matrix Geometry and Applications, Trieste, Italy, 1.07.-12.07.2013.
International conference "Wavelets and Applications", St. Petersburg, Russia, 8.7.-15.7.2012. Operator Algebras and Quantum Groups, Warsaw, Poland, 19.09.2011.-24.09.2011. Linear Algebra Workshop 6, Kranjska Gora, Slovenia, 25.5.2011.-1.6.2011. Conference on Time-Frequency, Strobl, Austria, 2009. Functional Analysis VIII, Dubrovnik, 2003. School on High-Dimensional Manifold Topology, Trieste, Italy, 2001. The Second Croatian Mathematical Congress, Zagreb, Croatia, 2000. Functional Analysis VI, Dubrovnik, Croatia, 1997. Member of the Scientific comittee, 6th Croatian Mathematical Congress, 2016. 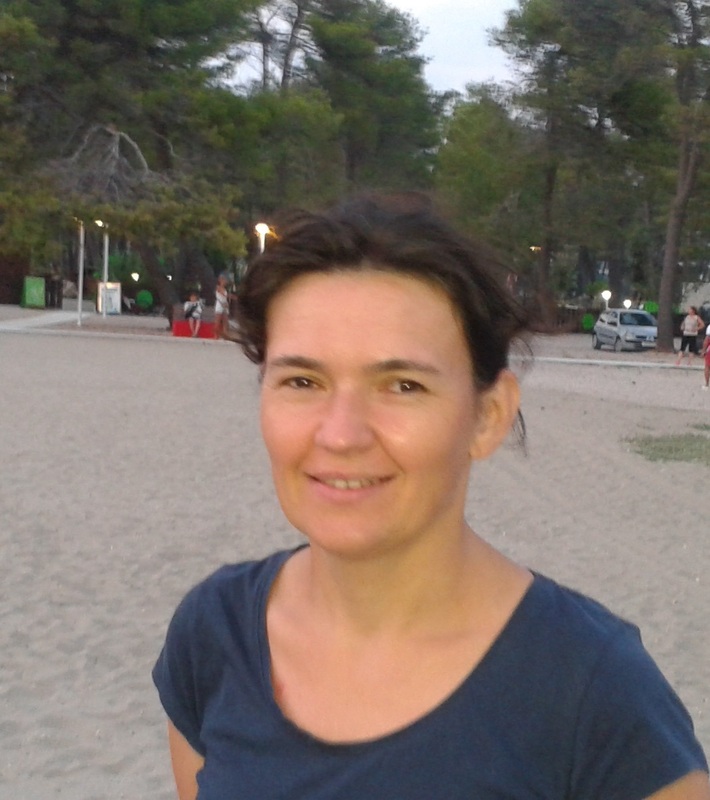 Member of the Organizing comittee, 6th Croatian Mathematical Congress, 2016.